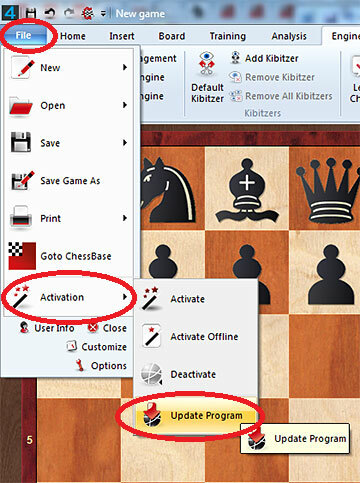 Che$$Bender wrote: Syzygy Endgame Tablebases for your chess engine. 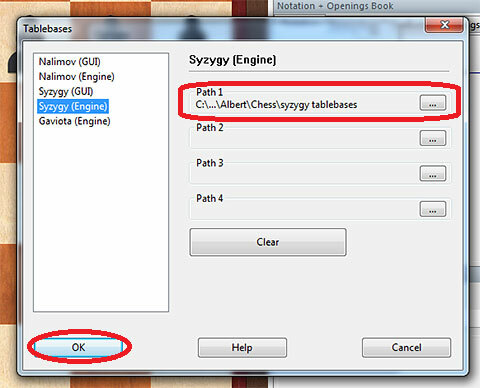 Syzygybases are configured using the UCI options "Probe Syzygybases" and "Syzygybases Path". 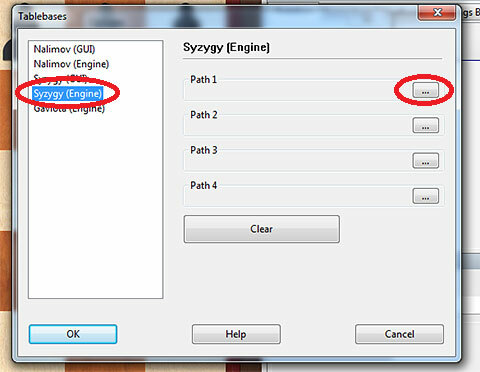 The option "Syzygybases Path" should be set to the directory or directories where the .rtbw and .rtbz files can be found. Multiple directories should be separated by ";" on Windows and by ":" on Unix-based operating systems. It is recommended to store .rtbw files on an SSD. There is no loss in storing the .rtbz files on a regular HD. Note: At the moment, the "Syzygybases Path" option can only be set once. If you want to change it, you need to restart the engine. If you have the 6-piece tables, set the value of "Probe Syzygybases" to 6. If you only have the 5-piece table, set it to 5. Set the value of this option to 0 if you want to temporarily disable tablebase probing. If the engine is searching a position that is not in the tablebases (e.g. a position with 7 pieces), it will access the tablebases during the search.If the engine reports a large mate score, this means that it has found a winning line into a tablebase position. Example: mate in 60 means 10 moves into a winning tablebase position. If the engine is given a position to search that is in the tablebases, it will use the tablebases at the beginning of the search to preselect all good moves, i.e. all moves that preserve the win or preserve the draw while taking into account the 50-move rule.It wil then perform a search only on those moves. The engine will not move immediately, unless there is only a single good move. The engine might not report a mate score even when the position is won. Instead, it reports the score that is returned by the search. It is therefore clear that behaviour is not identical to what one might be used to with Nalimov tablebases. There are technical reasons for this difference, the main technical reason being that Nalimov tablebases use the DTM metric (distance-to-mate), while Syzygybases use a variation of the DTZ metric (distance-to-zero, zero meaning any move that resets the 50-move counter). This special metric is one of the reasons that Syzygybases are more compact than Nalimov tablebases, while still storing all information needed for optimal play and in addition being able to take into account the 50-move rule. 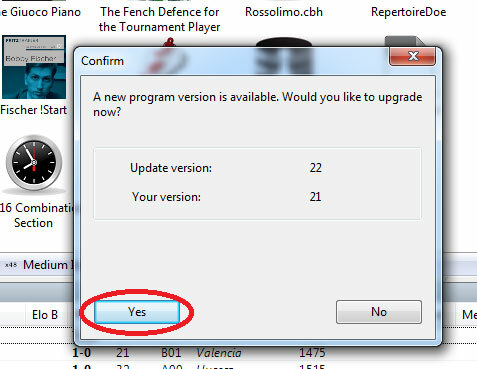 In the near future an option will be added to switch between the current behaviour and a mode in which Stockfish will immediately play one of the good moves. This new mode will have the problem that it leads to unnatural play once the engine has reached a tablebase position. For example, the engine will then prefer any winning pawn move (even those that lose material and complicate the win) over moves that lead to a quick mate but have a higher "distance-to-zero" value. This may be a old thread but the 2nd post describes what i am feeling right now. His language may not be the best but his point is obvious. I need help on understanding what the Original post meant with configuration and more. I know i already created a thread for this problem in another sub category ( sorry for that). Please, just give me a video on how to set syzygypath and probe limit and other things like that in CB 13 or Deep Fritz 14. Showing me a video on how to do it is the only way i will understand. but when its using more than that it does not work anymore, The engine does NOT CONSULT the tablebase in the calculations. I need syzygy to work with and engine and i need a video because it is the simplest and fastest way to show it. 10. Cope and Paste your new directory path on Notepad and save for future use. This directory path is correct for both the Stockfish and Houdini engine. If you're just interested in 5 piece, you can stop at 3-4-5. If you're interested in 6 piece, you still need 3-4-5. To let the Syzygy version of Stockfish find the tablebases, set the SyzygyPath uci variable to the list of folders where you have stored the TB files (.rtbw and .rtbz extensions). Separate folders with a semicolon. Do not use spaces around the semicolons. For optimal performance, place the WDL files (and all of 5 piece if you have those in 1 folder) on SSD. There is no harm in leaving the DTZ files on HDD. syzygyprobedepth difference in using 1 or use 99.
goliat72 wrote: Hi a question syzygyprobedepth difference in using 1 or use 99. I wonder if anyone here could tell me what is the ideal syzygy probe depth for Stockfish and Houdini 4 ? I have all the Syzygy EGTB on a 360 GB Corsair SSD. I know the recommendation is to lower it for SSD users, but then I start to get THOUSANDS of TB hits, eventually slowing down my Engine ! If I raise it too much, then very few TB hits. Ronald de Man wrote: If TB probing considerably lowers nps, then raise probe depth. If nps stays fine, then do not raise it. Provided nps stays fine, thousands or millions of probes is not a problem (on the contrary, the more the better). What percentage of nps decrease is still acceptable I do not know. Btw, it seems that in endgame positions (with just a few pieces left) nps of SF when running on many cores anyway is rather low even without TB usage (one would expect nps to almost double compared to the opening, but in e.g. TCEC on 16 cores it decreased quite significantly). 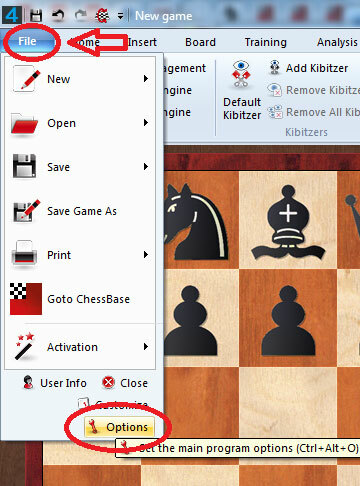 Included are a tablebase generator and probing code for adding tablebase probing to a chess engine. 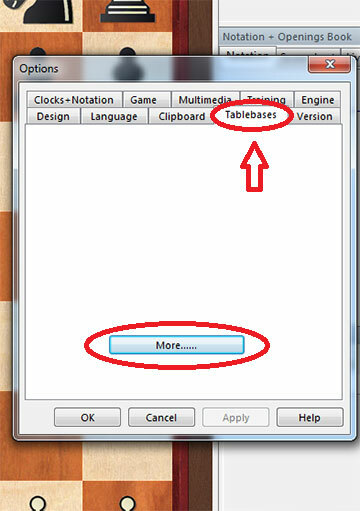 The tablebase generator is able to generate all tablebases for up to 6 pieces. 16 GB of RAM for 6-piece tables (much less for 5-piece tables). Sufficiently recent gcc (producing 64-bit executables). File names encode the type of tablebase: K+R+P vs K+R becomes KRPvKR. Each tablebase corresponds to two files: KRPvKR.rtbw and KRPvKR.rtbz. Note that KRPvKR also covers K+R vs K+R+P. The .rtbw files store win/draw/loss information including, where applicable, information on the 50-move rule. During the search only the .rtbw files are accessed. These files are "two-sided": they store information for both white to move and black to move. 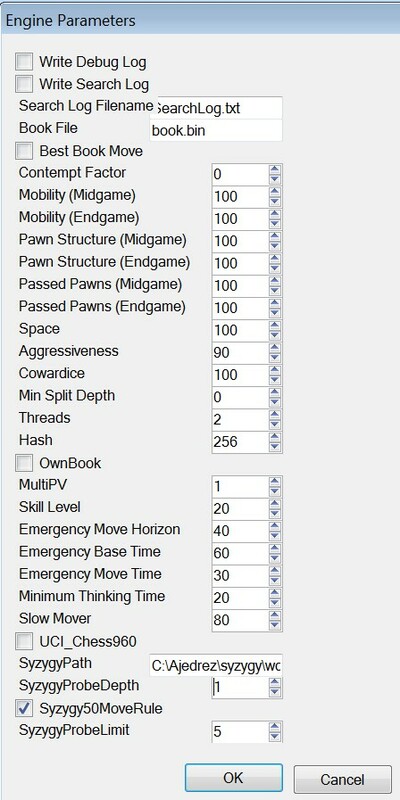 The .rtbz files store the distance-to-zero: the number of moves to the next capture or pawn move. These files only need to be accessed when the root position has 6 pieces or less. They are "single-sided". The 6-piece WDL tables are 68.2 GB in total. The DTZ tables take up 81.9 GB. For up to 5 pieces, the numbers are 378 MB and 561 MB. Ideally, the WDL tables are stored on an SSD. The directory src/ contains the tablebase generator code. It should be easy to build on x86-64 Linux system and on 64-bit Windows with MinGW ("make all"). It might be necessary to edit src/Makefile. In particular, if your CPU does not support the popcnt instruction, the line FLAGS += -DUSE_POPCNT should be commented out. rtbgen for generating pawnless tablebases. rtbgenp for generating pawnful tablebases. rtbver for verifying pawnless tablebases. rtbverp for verifying pawnful tablebases. tbcheck for verifying integrity of tablebase files based on an embedded checksum. Produces two compressed files: KQRvKR.rtbw and KQRvKR.rtbz. Both files contain an embedded checksum. Use n threads. If no other tasks are running, it is recommended to set n to the number of CPU cores, or if the CPU supports hyperthreading, to the number of CPU hyperthreads. 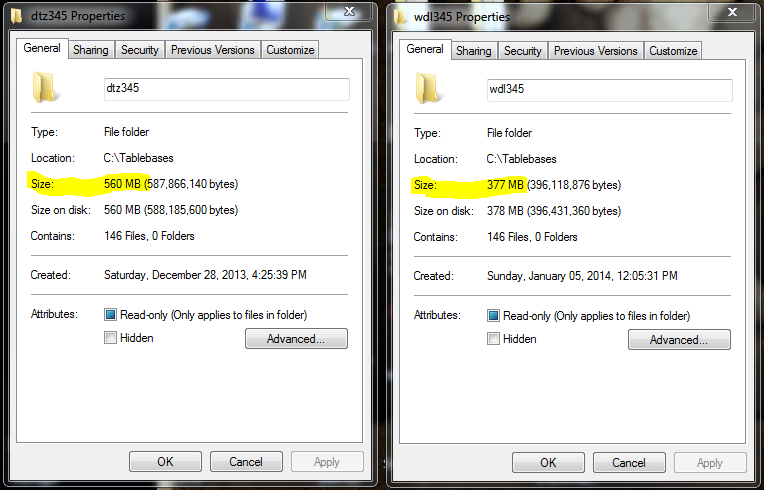 Only compress and save the WDL file (with .rtbw suffix). Only compress and save the DTZ file (with .rtbz suffix). Generate the table but do not compress and save. Save statistics. Statistics are written to $RTBSTATSDIR/KQRvKR.txt or to ./KQRvKR.txt if $RTBSTATSDIR is not set. Reduce RAM usage during compression. This takes a bit more time because tables are temporarily saved to disk. This option is necessary to generate 6-piece tables on systems with 16 GB RAM. This option is not needed on system with 24 GB RAM or more. Verifies consistency of KQRvKR.rtbw and KQRvKR.rtbz. This should detect (hardware) errors during generation and compression. For technical reasons pawnful tables with symmetric material such as KPvKP and KRPvKRP cannot (at least currently) be verified. Log verification results to rtblog.txt. Look for the WDL file in directory $RTBWDIR and look for the DTZ file in directory $RTBZDIR. Without this option, both files should be present in the current working directory. 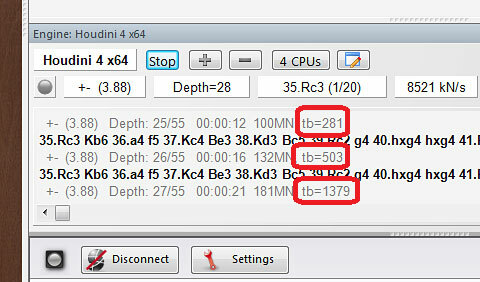 Recalculates a checksum for each specified tablebase file and compares with the embedded checksums. This should detect disk errors and transmission errors. Print embedded checksums. Do not check correctness. Note: The programs rtbgen, rtbgenp, rtbver and rtbverp require access to WDL tablebase files for "subtables". These should be present in the directory $RTBWDIR. The somewhat primitive perl script src/run.pl can be used for generating and verifying all or part of the tables. Make sure the location of rtbgen, rtbgenp, rtbver and rtbverp is in your $PATH variable. Generate tablebases. Tablebases that already have been generated and are found in the current working directory are skipped. Only treat tablebases with at least n pieces. Only treat tablebases with at most n pieces. Use this option to generate 6-piece tables on a system with 16 GB of RAM. The directory interface/ contains probing code. It does not come in the form of a shared library, and requires some work to integrate into an engine. The main reason for this is efficiency. There are four files: tbcore.c, tbcore.h, tbprobe.cpp, tbprobe.h. The files tbcore.c and tbcore.h should not require much changes, although engine authors might want to replace some printf()s with suitable logging statements. The files tbprobe.cpp and tbprobe.h do require some changes but these should be fairly straightforward when following the comments. The only reason for tbprobe.cpp having the .cpp extension is that I have used Stockfish as example. The probing code expects WDL files in $RTBWDIR and DTZ files in $RTBZDIR. The files main.cpp, search.cpp and types.h are from Stockfish with calls to the probing code added (see // TB comments). The change in types.h is necessary in order to make room for "tablebase win in n" values distinct from "mate in n" values. Please note that the integration of probing code into Stockfish is merely intended as a proof of concept. It is far from perfect and might have some bugs. The files lz4.c and lz4.h in src/ are copyrighted by Yann Collet and were released under the BSD 2-Clause License. The files city-c.c, city-c.h and citycrc.h in src/ (ported by me from C++ to C) are copyrighted by Google, Inc. and were released under an even more liberal license. Both licenses are compatible with the GPL. All other files in src/ are released under the GNU Public License, version 2. The files main.cpp, search.cpp and types.h in interface/ obviously are copyrighted by the Stockfish authors and covered by the Stockfish GPL. The files tbcore.c, tbcore.h, tbprobe.cpp and tbprobe.h in interface/ may be freely modified and redistributed in source and/or binary format.